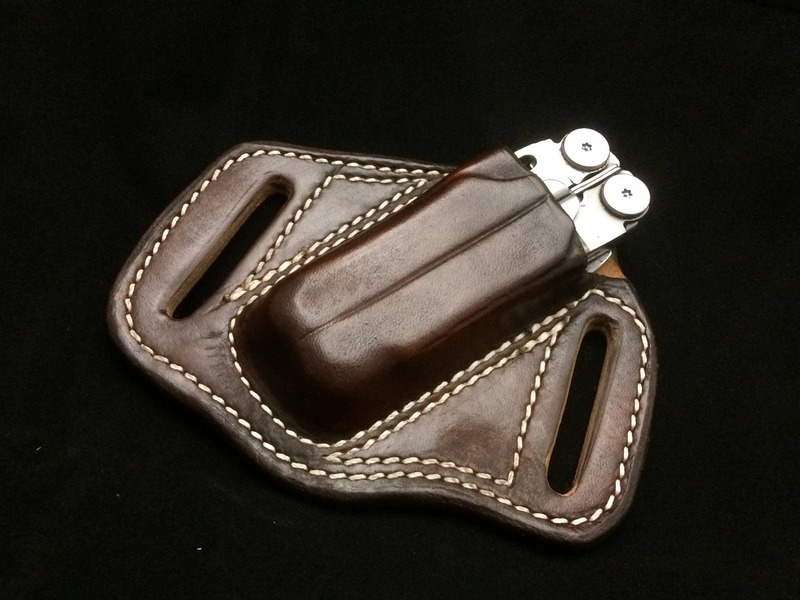 This item is a custom made leather, open top, canted sheath. We can make it for the tool of your choice! If you don't see your tool in the drop down options, message to request a sheath be made for your tool (or just note it with your order!). - Formed to fit your tool! - Made from holster leather! - Fits Leather belt loop up to 1.75" belt! *Typically sheaths are made for right hand carry. If you would like a left hand carry, PLEASE NOTE WITH YOUR ORDER! My 5th sheath. Nay is my go-to custom maker! Nay's did a great job with the Leatherman Wave sheath. The sheath fits perfectly between my jeans belt loops. The leather quality and stitching is excellent and the color is rich. The tool fits snugly, but comes out easily enough. I wish I would have sent them my belt knife to be integrated. Shipping was on time. Shipped on time and the product feels high quality. The brown color is a lot lighter than I thought it would be, but I can deal with that. Thanks!